Previous Why Do I Feel Sad For No Reason? 1.1 Click here to get started with your FREE 7-Day Online Therapy Trial! When we intuit authority or truth to someone else’s words of wisdom, we could say that we are instinctively judging them on three things. Firstly, the validity of their experience. We need to know that they have firsthand experience with the peaks and troughs of life, that they haven’t been sheltered from either the extreme good or bad sides of human nature. We also consider the context within which their ideas are being expressed, and try to gauge if they’re still relevant for us. Secondly, we look at their motives. 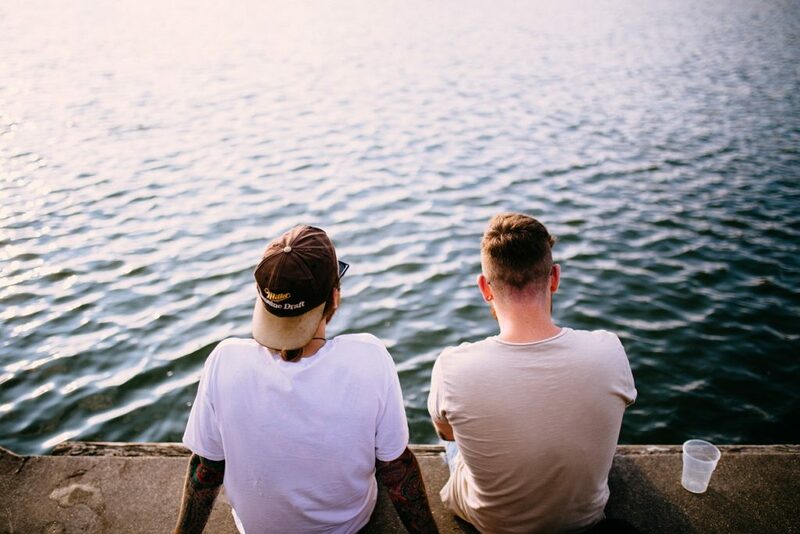 What do they stand to gain from the wisdom that is being shared? Is there a monetary incentive? 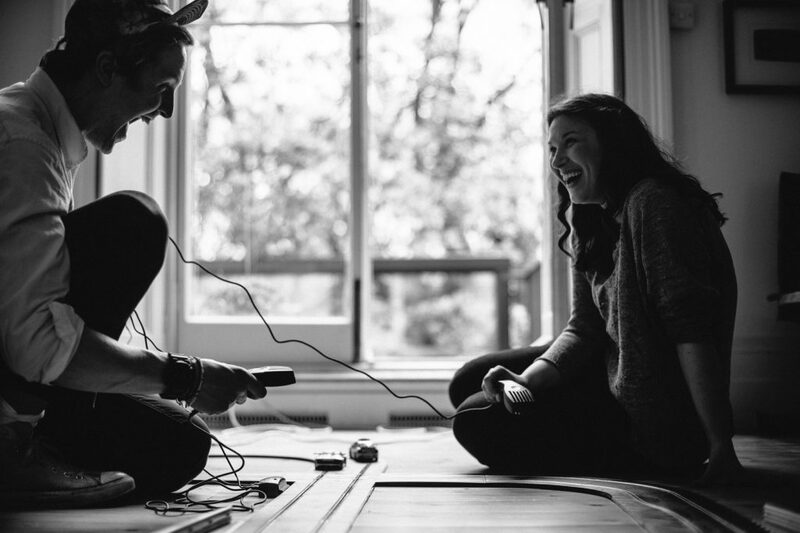 Do they have a heavy cultural or experiential bias in favour of the view that they’re sharing? Finally, we consider their history and relationship with suffering. Suffering is the common thread which ties together any searches for meaning and resulting wisdom. The seeking in and of itself to be said to a universal reaction to the tension of human existence. When we consider these three criteria, Viktor Frankl is one man who manages to tick all boxes. An Austrian Psychotherapist, Frankl was the found of logotherapy, a method of existential analysis that placed meaning and suffering as the cornerstone around which much psychological dysfunction could be assessed and treated. However, Frankl’s psychoanalytic views were not merely theory. In fact, they were practical in every sense, as in 1944 he was sent to the Nazi concentration camp Auschwitz, and forced to explore his beliefs right down to their core. A combination of luck and will allowed him to survive the experience, and he went on to write his seminal work ‘Man’s Search for Meaning’ which has sold over 10 million copies and been translated into 24 languages. When we look at his life in context, Frankl’s ideas emerge from a compelling experience, his motives are pure – he originally intended to publish the book anonymously – and his relationship with suffering unquestionable. To that end, the wisdom he offers transcends his time, and his books are incredibly valuable. I strongly recommended anyone to read Man’s Search for Meaning, and for any who has an interest in existentialism, to pick up any one of his other books. 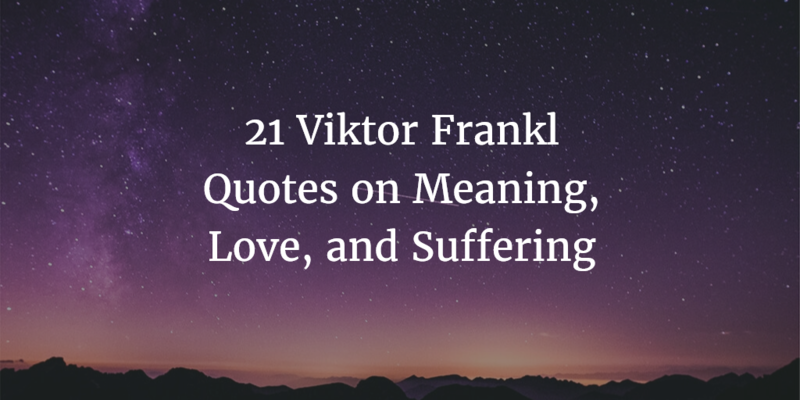 So, without further ado, here are 21 quotes by Viktor Frankl on meaning, living, love, suffering, and compassion. Though he underwent horrific life circumstances, Frankl’s drive to find meaning was insatiable. He was a firm believer in the ability for human beings to act with a degree of dignity regardless of their circumstances. Frankl’s commitment to personal responsibility and commitment to a higher cause was profound, and reflects an attitude of a lot of existential thinkers. Though a scientist, he deeply valued the spiritual nature of life, and took to it with a gratitude and a humor that we often find in eastern traditions. Frankl’s belief in the importance of love was a result of the unbelievable sustenance that his own love for his wife gave him during his time in Auschwitz. He saw love as a key ingredient that fuelled meaning, and found in his own experience that it made him more resilient than he could have imagined. 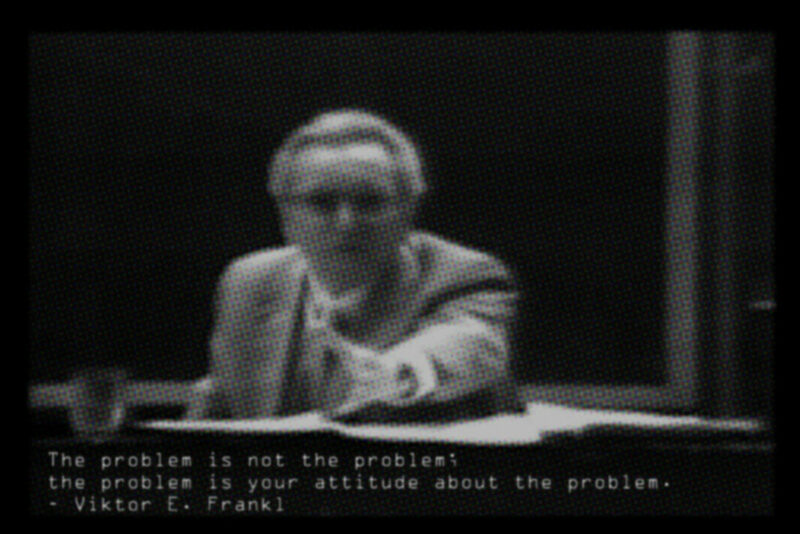 Suffering, life love, was to Frankl another aspect of the human condition that was both fundamental and infinitely flexible. He noticed not only how far suffering could go, but also how human beings could respond to it and what could be learned from it. Reading Frankl’s words, you understand that he was a deeply compassionate person. He was able to express sympathy for not only his fellow prisoners of war, but also his captors. This echoes ideas that have been explored in religions all around the world, particularly long-term meditators in the East, and is a direct result of his contact with such extreme aspects of human nature. Viktor Frankl was a brilliant existential psychotherapist. If you’re struggling to find meaning, love and balance in your life, and you’d like to work with someone like Dr. Frankl to develop self-compassion and manage your suffering, listen up! 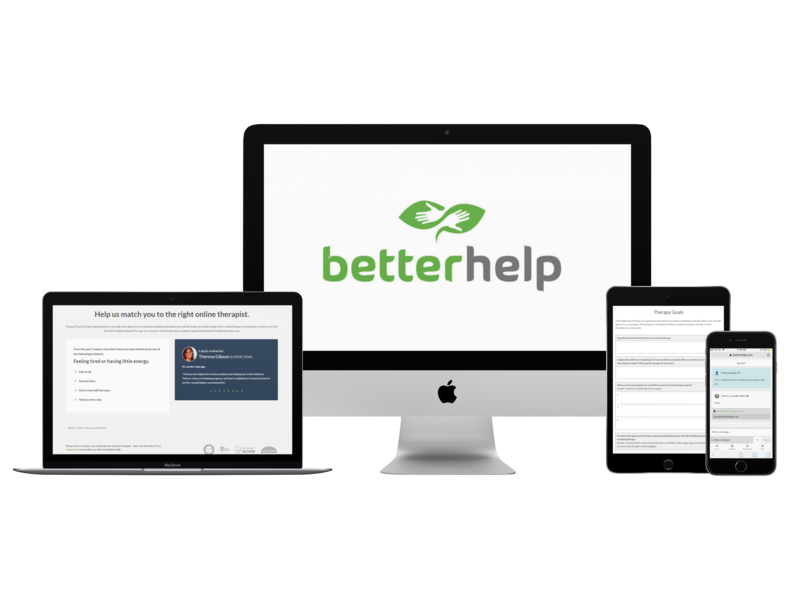 I’ve teamed up with the biggest Online Therapy Platform in the world, BetterHelp. They offer affordable and anonymous online therapy. I’ve used it, and it helped me through a really tough time. I get it! 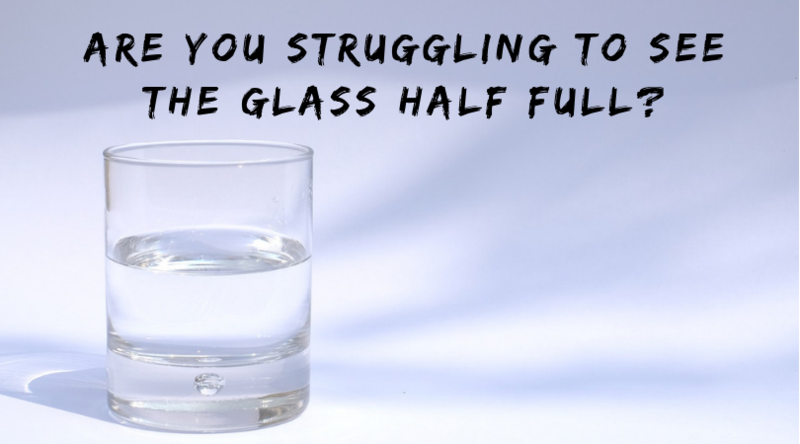 Your time is limited, and it’s not easy bringing yourself to see a therapist (or two or three or four). This is why BetterHelp is so effective, if you don’t vibe with the therapist you’ve been matched with, they’ll assign you a new one (who specialises in what you’re dealing with) in 24 hours. Right now they’re offering a FREE 7-Day Trial so that you can be paired up with one of their 2000 therapists and have a session at no charge. Click here to get started with your FREE 7-Day Online Therapy Trial! If you enjoyed this article or have any questions, please leave a comment in the comments section below or send me an email at ben@projectmonkeymind.com, I’d love to hear from you! I read this book in college for an Existential Philosophy class and wrote a nifty little paper relating existential psychology and philosophy. I would be happy to share that paper with you should you be interested. Sure, that sounds interesting. Send it to ben@projectmonkeymind.com when you get time.